We are back at it, picking right up where we left off. . . well more or less! I firmly believe that the first few weeks are about building community, routine, and a sense of who we are as a class. We have had a very nice transition into the school year, taking it slow and spending time getting to know each other and the expectations so that our classroom climate will be one that promotes learning in the weeks and months to come. With this being said, the children are ready and eager to start working and there isn't any reason to hold them back. This is the time of year that teachers love. "Teacher Jen, can I have a lesson in this?" Ohh, just music to my ears! Here are a few lessons and activities we've done this week. This child was so eager to start writing in his journal that he found a book and started copying it! 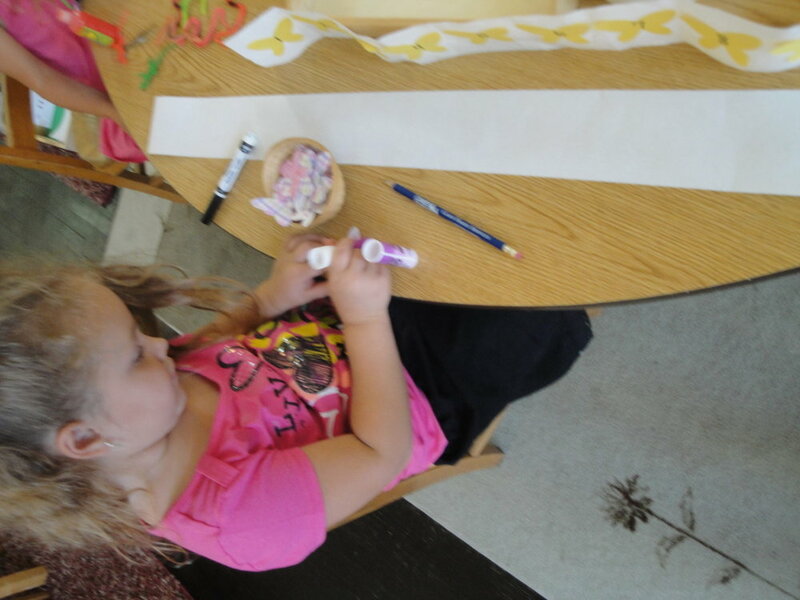 In this work the student is attaching butterflies to a paper strip and writing the digits one through ten. This is a new work this year. 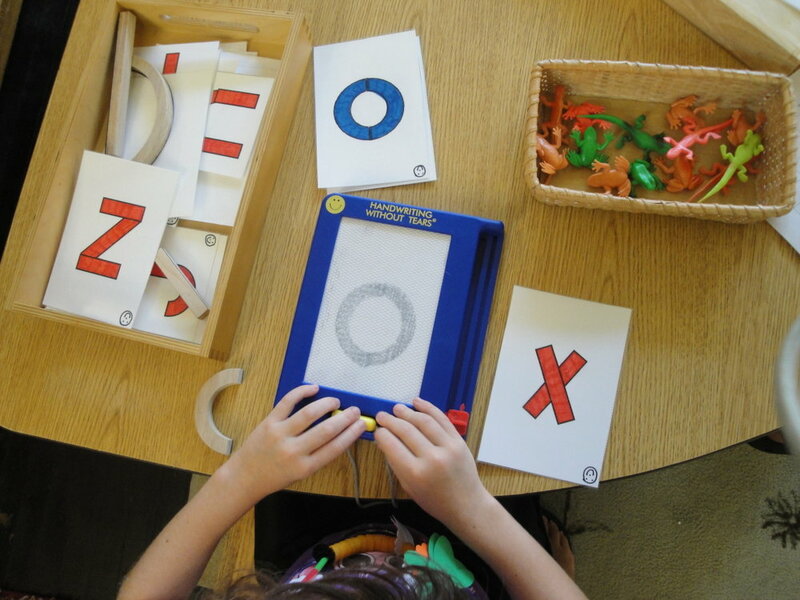 The Handwriting Without Tears system promotes a hands on and full body approach to letter formation. How perfect for our classroom. I could sit and 'play' with this work for hours myself. Pin piercing work. This work, often a favorite amongst students, promotes hand strength for all of that writing we will be doing! Doesn't this picture tell the story? Ohh how it was hot those first two days..... the best place to work is in front of the fan! 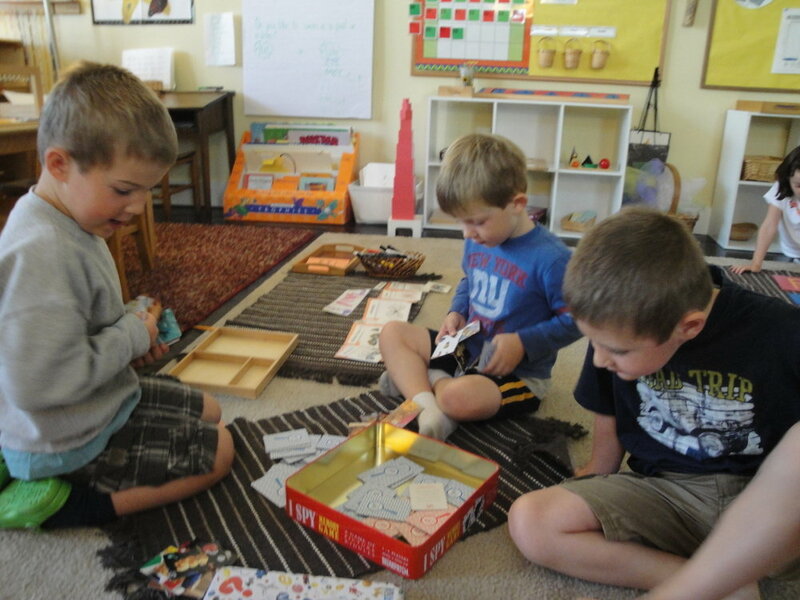 A game of Go Fish, I Spy style. 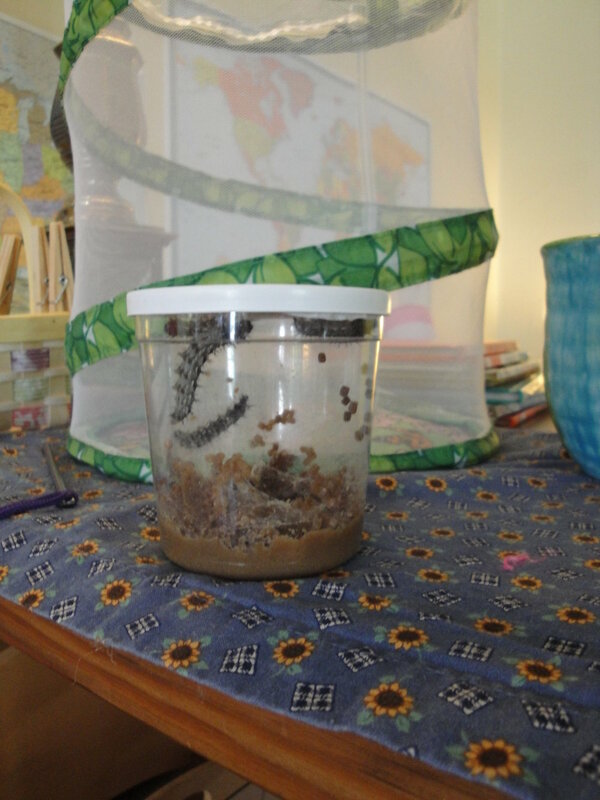 These caterpillars of ours spent an awful lot of time today on the top of their jar. . . we predict J shaped caterpillars tomorrow!